We recently had the opportunity to sit down with Tom Gasko, curator of the Vacuum Cleaner Museum and Factory Outlet in Saint James, Missouri. Tom has years of experience with vacuum cleaners and has had the opportunity to work with the likes of Rainbow, Kirby, Electrolux and Filter Queen. He has also provided design input to manufacturers and even has a vacuum series named after him! In our most recent interview we speak with John Long of Pittston, Pennsylvania. John is an avid collector of all things Hoover, especially vacuum cleaners, and has traveled across the country in his pursuit of elusive vintage machines. John is also the Vice President of the Vacuum Cleaner Collectors Club and he makes annual pilgrimages to North Canton, the birthplace of Hoover. 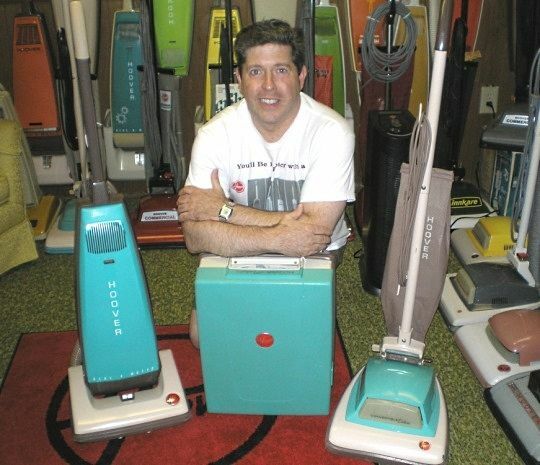 We recently had the opportunity to discuss vacuums with a passionate collector from Pennsylvania. Robert Alexander Taber, or just “Alex” as he prefers, has made vacuum cleaners his life. As a child, when other children were playing with toy cars, Alex was pulling apart vacuum cleaners. At the early age of 17, when standing outside an Electrolux office looking at the new machines, he noticed a help wanted sign. Shortly thereafter he began selling vacuums for Electrolux. In 1975 he started selling for Kirby and worked with them for over 20 years. Alex is now retired and lives on a farm in Pennsylvania but the vacuum obsession still runs strong. 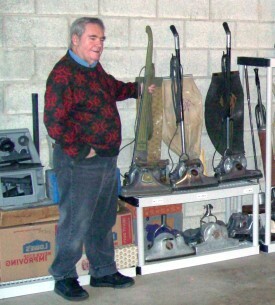 He is the founder of the Vacuum Cleaner Collectors Club and continues to work on his private collection. In our discussions with Alex it is apparent that he is a fountain of knowledge when it comes to vacuums and is also something of a historian on the topic. We asked Alex some questions about vacuums and collecting.